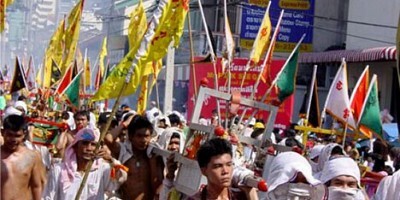 The Phuket Vegetarian Festival is an annual event held during the ninth lunar month of the Chinese calendar. 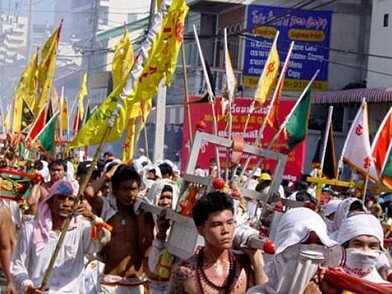 It is believed that the vegetarian festival and its accompanying sacred rituals bestow good fortune upon those who religiously observe this rite. Phi Phi islands are 48 kilometres east of Phuket and 42 kilometres south of Krabi. © 2019 Paradise Pearl Bungalows - Phi Phi Island . All Rights Reserved.